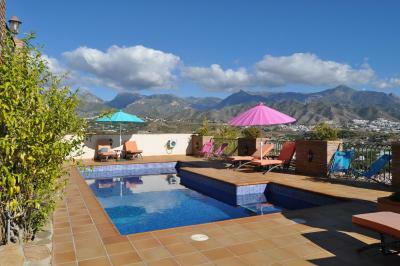 Lock in a great price for Welcome Inn Nerja guest house Luxury Bed & Breakfast – rated 9.5 by recent guests! The host and hostess were very friendly and helpful, positive. The breakfast was quite generous. 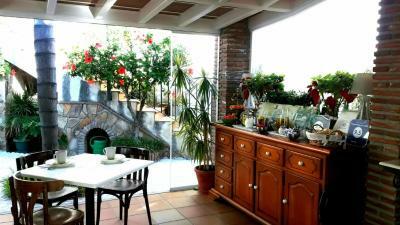 A great place to stay, extremely friendly and helpful hosts, great view and location.. The hosts, Kiko and Natalia are wonderful - they helped us with our travels! The owners of the property were amazing! 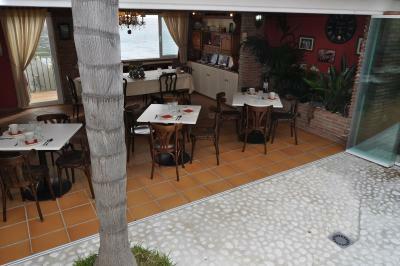 Very helpful, friendly and prepared a delicious breakfast served at a beautiful patio area. A warm and welcoming couple own this beautiful, impeccable inn. They worked very hard to assure our comfort and happiness. The inn is really a very fine, large, labyrinth of a house, built into the tall hillside on many different levels. 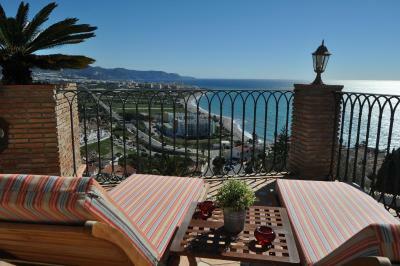 Gorgeous swimming pool and deck overlooking the Mediterranean. 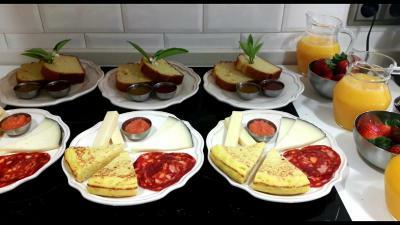 Homemade, delicious breakfast, featuring local cuisine - plus a range of offerings to please anyone. 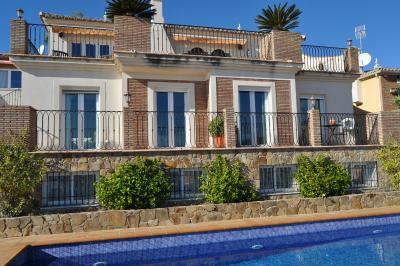 It is a great location, facilities and views are fantastic, very friendly and helpful staff. 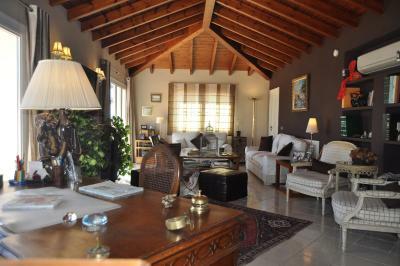 Luxury Bed & Breakfast has a communal lounge with a wood-burning fireplace. Free Wi-Fi is offered, as well as computers with internet access and printer. You can also enjoy gardened areas. 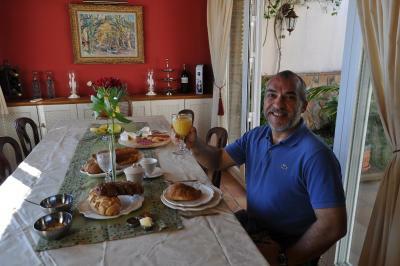 Breakfast is included in the welcomeinnnerja. Each room features themed décor and has air conditioning and heating. Pool towels and a laundry service are available at an extra cost. 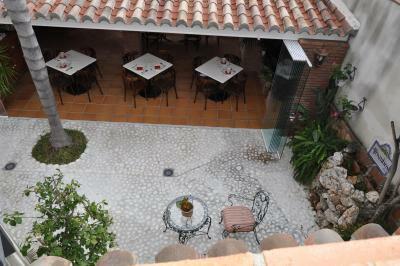 The center of Nerja is 5 minutes’ drive away from this boutique accommodations. Malaga is 34 mi away. 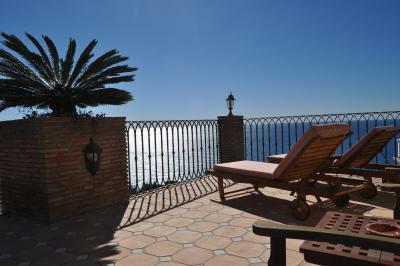 When would you like to stay at Welcome Inn Nerja guest house Luxury Bed & Breakfast? These rooms with air conditioning and heating feature themed décor, a wardrobe and a private bathroom with hairdryer. Pool towels and a laundry service are available for a surcharge. Please note this room does not have view. Featuring a private terrace with sea views, these rooms with air conditioning and heating have themed décor. 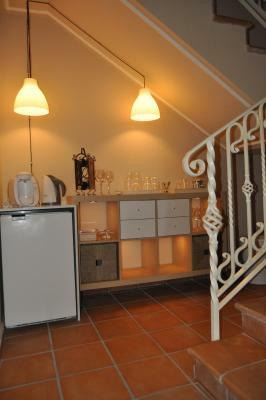 There is a seating area, a wardrobe and a private bathroom with hairdryer, bidet and 2 sinks. Pool towels and a laundry service are available for a surcharge. These rooms feature maritime-inspired or blue-toned décor. They include a double bed and either a single bed or bunk beds, heating, air conditioning, a desk, air conditioning, and a bathroom with a shower. Pool towels and a laundry service are available for a surcharge. 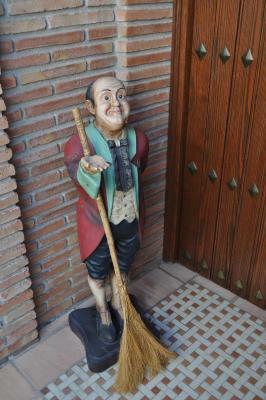 House Rules Welcome Inn Nerja guest house Luxury Bed & Breakfast takes special requests – add in the next step! Welcome Inn Nerja guest house Luxury Bed &amp; Breakfast accepts these cards and reserves the right to temporarily hold an amount prior to arrival. 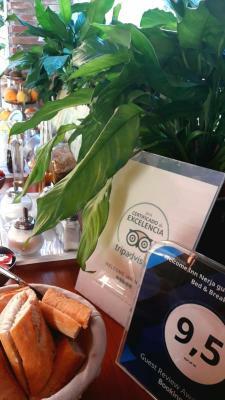 Welcome Inn Nerja guest house Luxury Bed & Breakfast accepts these cards and reserves the right to temporarily hold an amount prior to arrival. The hosts were so gracious and helpful. 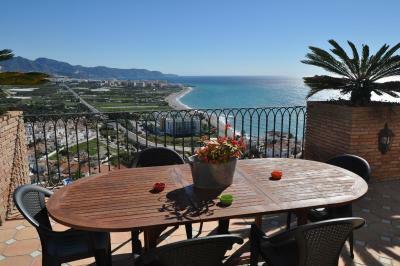 The view is really spectacular and in Nerja that is important. The room was spacious and the beds very comfortable with super linens and a large spa like bath with a large walk in shower. 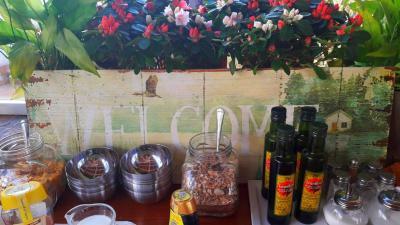 And the breakfast were very generous and featured local dishes, fruit from the area, home baked goods and much more. Could not have found a better place to enjoy this friendly beach town with many amenities. 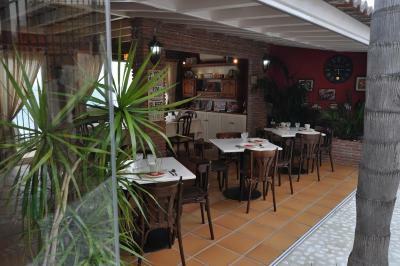 And the host had many good restaurants recommendations and suggestions for outings. 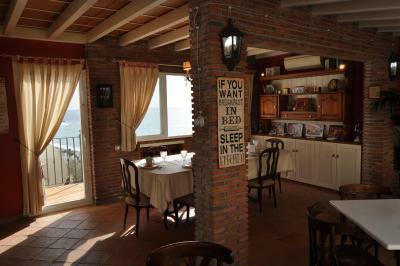 Best parts- the location, the views out into the sea, the homemade breakfast, the ambiance and lastly the people! Kiko and his wife were amazing hosts, very sweet and helpful. I would surely stay here again. Drive up the hill from main road. Steep climb but worth it! The fact that there are no TVs in the rooms and the wifi gets switched off at night. The owners go the extra mile. The B&B is a beautiful little house, with spectacular views. 110% recommended. I was there with my little daughter and Natalia and Kiko were such great hosts. Everything was clean and very cosy; the house was full of lovely details and unique. They always took care about us and offered a great service. Everything was perfect, including the stunning view we had from the room and my little princess also felt very comfortable. i can't complain anything. We had an unforgatble time! thank you so much. i hope to see you soon again. The room was too small and claustrophobic,,,,had hoped for a room with bed facing the sea, instead got room facing a blank wall. The sheets were rough and there was no blanket. A fridge in the room would have been nice. Great stay at the Welcome Inn. 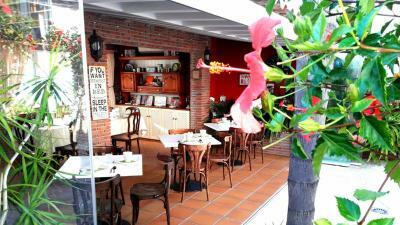 A relaxing homely environment but still very professionally run. Views are incredible, pool a great break from the hot weather and run by really nice people. A car is probably a must as it’s a short way out of town and up a hill but this is also what makes this place special, peaceful and restful. Thank you Kiko and Natalie fora great stay. 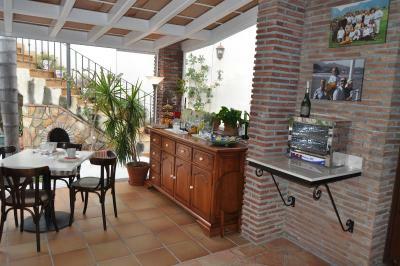 It was very friendly and the view of the Nerja city and the Mediterranean sea from the hostel was the best. Breakfast was very clean and private dining was very good. Natalia is a very friendly and energetic host. Next time I want to stay again if I have the opportunity, I would recommend you to recommend it to the surrounding area. However, it was very hard to find a hotel. The bedroom was down two flights of stairs and no lift. To br fair the owner did help me back up with the cases but without I would have struggled. 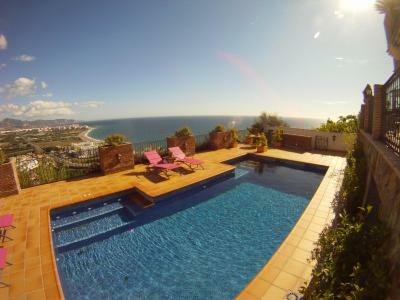 The views were spectacular and the pool was very pleasant after a day’s property viewing. Everything was perfect. 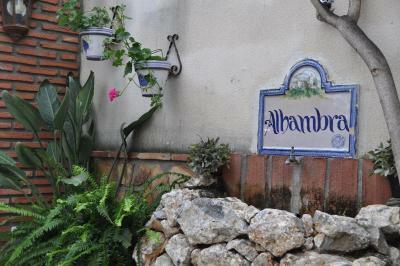 The owners were wonderful and gave us lots of help and recommendations about the surrounding area. Our room was fantastic. Breakfast scrumptious. Our stay was perfect. 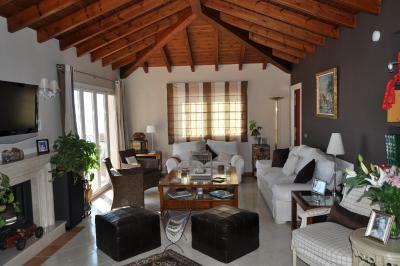 The welcoming of the house owners, the beautiful and spacious room, bathroom and balcony woth stunning views. The decoration of the full house, peaceful and quiet. 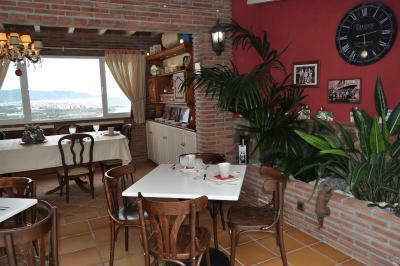 The quality of the breakfast and recommendations of the couple.